I thought I'd update everyone on my Nectarine Tree. There must be close to 100 fruits developing now on there. I don't know if this is healthy though for an 8 foot tall tree. I have been removing some of the smaller ones that were late to develop too; I'm assuming those were the ones with less pollination. I won't know for sure how much fruit I'm getting off the tree until after June. 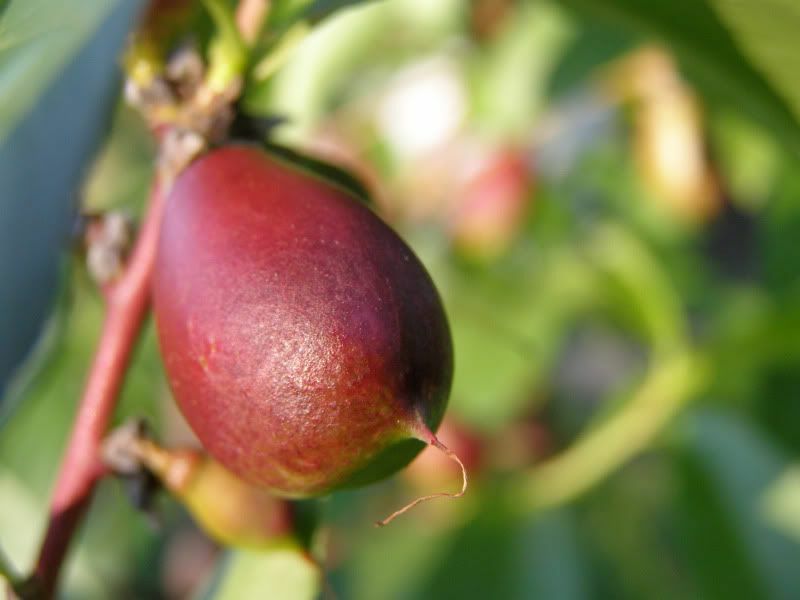 As with all fruit trees the fruits will develop even if they weren't pollinated at all. However, come June, the ones that had little if any pollination will stop growing and fall off the tree. It's called a June drop. From earlier posts about this tree you might recall there were tent caterpillars on it. Well roughly a week after that post they all up and vanished. Over all damage to the tree I would estimate to be less than 5% of the leaves. And it's filled in completely now. The nibbled leaves are still on the tree but you have to really look hard to find them now. Unlike other fruit trees I have, this one seems to be free of aphids. Ants still run all around it. Mostly Formica, Crematogaster, and Tapinoma. They're most likely the reason why I no longer have any tent caterpillars on the tree too along with predatory wasps. Currently I think they're licking the small amount of sap that forms as the tree produces new leaves.